The Anambra South People's Forum yesterday responded to critics of Senator Andy Uba saying that so far, so good, Senator Uba had done well for the senatorial district. The group made this known in a recent press statement issued in Ekwulobia, Aguata Local Government Area in Anambra State. The statement which was co-signed by the coordinator, Dr. James Okeke and 40 other stakeholders faulted those who criticised Senator Uba's performance describing them as street demagogues who had neither experience nor the grit to legislate for the betterment of the people. He said that well meaning people of the senatorial district had decided to reelect Uba for a third term because of the numerous bills and projects he had sought to attract to the senatorial district. He said" We the members of the Anambra South People's Forum have in recent times become mortified at the penchant of some persons masquerading as candidates and contenders for the Anambra South Senatorial District to pursue a campaign of calumny against the aspiration of Senator Uba to return to the senate in order to continue the good works so far. Some of these candidates are at most paper tigers and social media politicians who have no structure nor base required to win elections comfortably, prefer to throw mud undeservedly at the most popular candidate, with the intention of getting a non privileged response from such a candidate, thankfully, the person of Senator Uba, is much focused on telling the people what he has so achieved and why he needs another term. However as stakeholders in this senatorial district, we would be failing in our duties if we fail to respond to these candidates. Senator Uba in the 8th Assembly has sponsored more bills on the floor of the Senate than any other senator, these bills, which are of immense importance to the senatorial district's well being as well as Nigeria, have brought the required remedy to a number of issues and logjams experienced by Nigerians all over the world, this many of us will agree is quite commendable. Again, in terms of constituency projects attracted by Senator Uba, the group will readily challenge any body to a debate who deny the senator's performance in this aspect. These projects which are all visible for all to see includes the construction of 35 classroom blocks and the renovation of 25, the provision of 40 boreholes and over head tanks in the seven local government areas that make up the zone for the provision of portable water to communities lacking them. 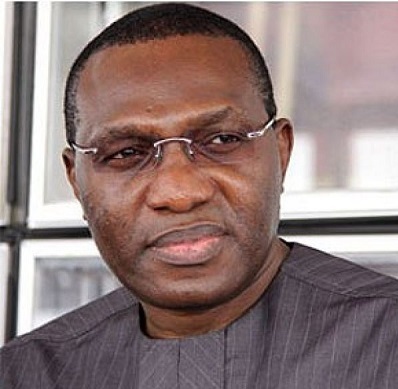 Asides these humongous interventions, Senator Uba has also provided street lights to 22 communities as well as empowered over 809 youths via his Senatorial Empowerment programmes meant to bequeath to each youth skills as well as the tools and funds to excel in several husinesses, turning these once unemployed youths to business owners.